There’s a saying that if you don’t know where you came from then you can’t know where you’re going. 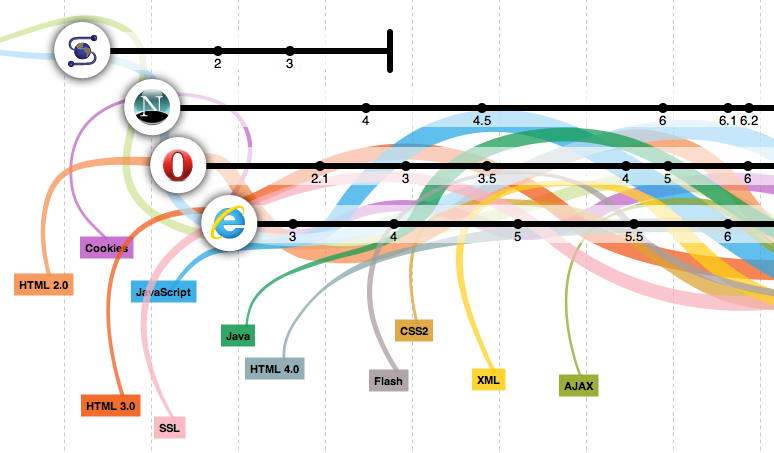 It’s with that in mind that The Evolution of the Web is such a cool project. The Evolution of the Web is a visualization of Web technologies, browsers and a timeline showing how it all interacts with one another. From 1990 to today, HTTP to WebGL, every entry is on a timeline and links directly to supporting information from across the Internet. It’s a fun, educational trip down memory lane and definitely worth a few minutes of your time today.